Child abuse presents in many different forms: physical, sexual, psychological, and neglect. The orthopaedic surgeon is involved mostly with physical abuse but should be aware of the other forms. There is limited training regarding child abuse, and the documentation is poor when a patient is at risk for abuse. There is a considerable risk to children when abuse is not recognized. In this review, we (1) define abuse, (2) describe the incidence and demographic characteristics of abuse, (3) describe the orthopaedic manifestations of abuse, and (4) define the orthopaedic surgeon’s role in cases of abuse. We performed a PubMed literature review and a search of the Department of Health and Human Services Web site. 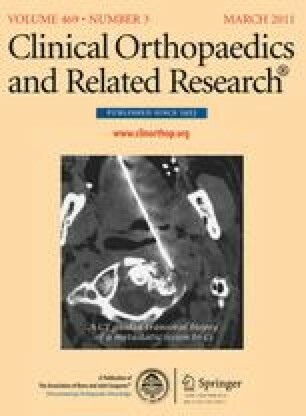 The Pediatric Orthopaedic Surgery of North America trauma symposium was referenced and expanded to create this review. Recognition and awareness of child abuse are the primary tasks of the orthopaedic surgeon. Skin trauma is more common than fractures, yet fractures are the most common radiographic finding. Patients with fractures who are younger than 3 years, particularly those younger than 1 year, should be evaluated for abuse. No fracture type or location is pathognomonic. Management in the majority of fracture cases resulting from abuse is nonoperative casting or splinting. The role of the orthopaedic surgeon in suspected cases of child abuse includes (1) obtaining a good history and making a thorough physical examination; (2) obtaining the appropriate radiographs and notifying the appropriate services; and (3) participating in and communicating with a multidisciplinary team to manage the patients. This work was performed at The Children’s Hospital, Denver: University of Colorado. We thank Amy K. Monreal, BA, for technical assistance. US Department of Health and Human Services. ACF, Administration on Children and Families Children’s Bureau. Child Maltreatment 2008. Available at http://www.acf.hhs.gov/programs/cb/pubs/cm08/index.htm. Accessed June 10, 2010.